The third edition The Disneyland Encyclopedia by Chris Strodder has just been released. I read, reviewed and loved the second edition when it was released in 2012. Simply put: If you love Disneyland, then you need to buy the Disneyland Encyclopedia right now! Seriously, no hyperbole, here. I am asked all of the time for my favorite Disney-related books which usually revolve around Walt Disney World titles. 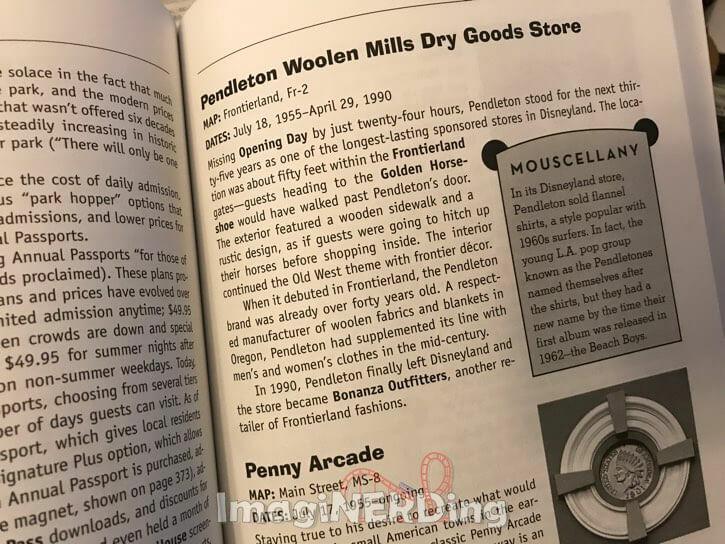 The Nickel Tour and Disneyland: Inside Story are my favorite Disneyland titles, with Strodder’s Disneyland Encyclopedia being an indispensable tool and a must-have book. I wanted to get my review out sooner, but I kept reading the book until I’d finished it and read every entry. It is that good. I know, reading an encyclopedia cover-to-cover? So, yes, this is an encyclopedia. 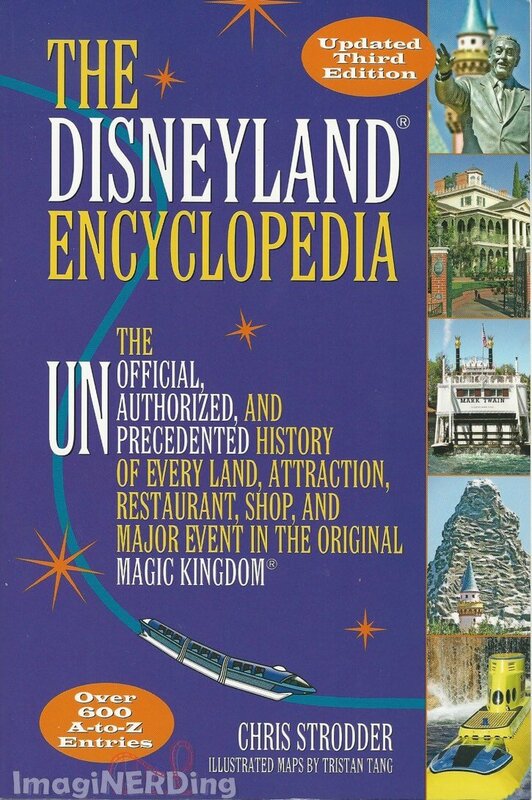 Strodder has over 600 entires that cover Disneyland like no other book; but it’s so much more than an encyclopedia. The book is also a historical title that traces so much of the park in one place, including entries on short-lived attractions and never-built attractions. Strodder also covers forthcoming attractions (future history?)! Because it is important to document what might have been planned but never built. Strodder’s book reads more like a conversation between people that love Disneyland. 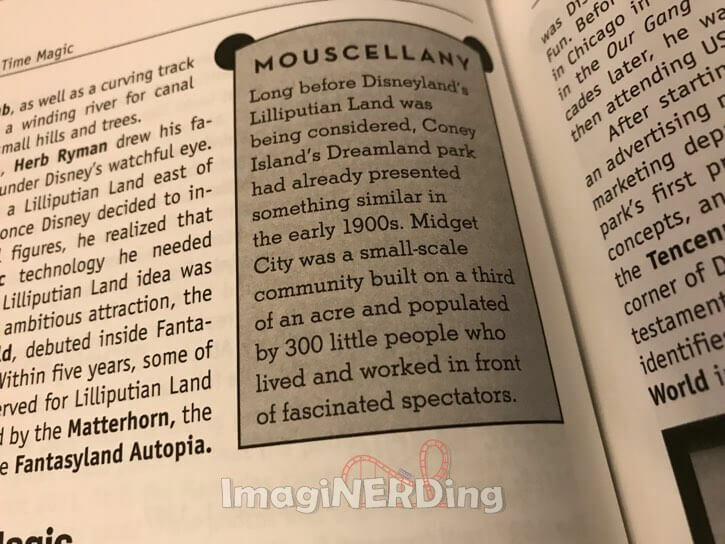 Although the Disneyland Encyclopedia is an extremely authoritative work, it’s not written like a textbook or an academic treatise. Every Disneyland fan is going to love this book. Living on the East Coast, I only get to visit Disneyland every few years. This book has re-ignited my passion to visit the park again. The book is charming, engaging and simply indispensable. Strodder’s style is warm, friendly and very humorous. I do love the subtitle of the book: The Unofficial, Unauthorized, and Unprecedented History of Every Land, Attraction, Restaurant, Shop, and Major Event in the Original Magic Kingdom. It’s true! The Disneyland Encyclopedia should be on every fan’s shelf. If you consider yourself a historian, podcaster, YouTuber, etc., and you’re creating content on Disneyland, then you need to buy this book now, even if you own the second edition. I feel like a broken record, but this book is simply one of the best titles on Disneyland that exists. What do you think about The Disneyland Encyclopedia? Legoland Florida: Everything is Awesome! One example is the Columbia issue which happened in 1998, not 2001 as quoted in the book. Trying to reach Chris Strodder about a Disney attraction question no one has ever answered in many sites. In the attraction for Kodak, now extinct called Magic Journeys, who were the kids/stars of the featurette? Always wondered if they went on to other film projects(as the Mousekateers did).